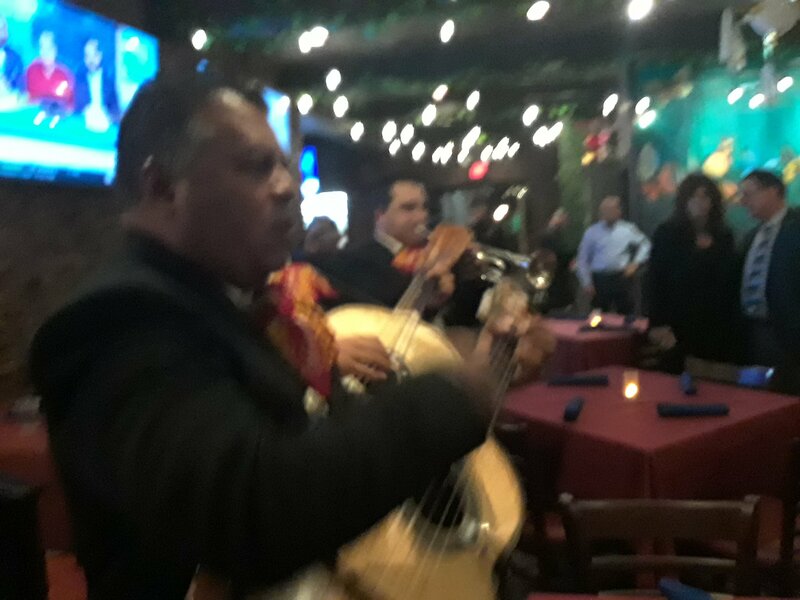 Floodlights streaking the sky, smoke billowing outside its front door and a Marachi band playing traditional Mexican music, signaled the Grand Opening of Bayonne’s beautiful new restaurant, and 2nd El Aquila Dorada location. 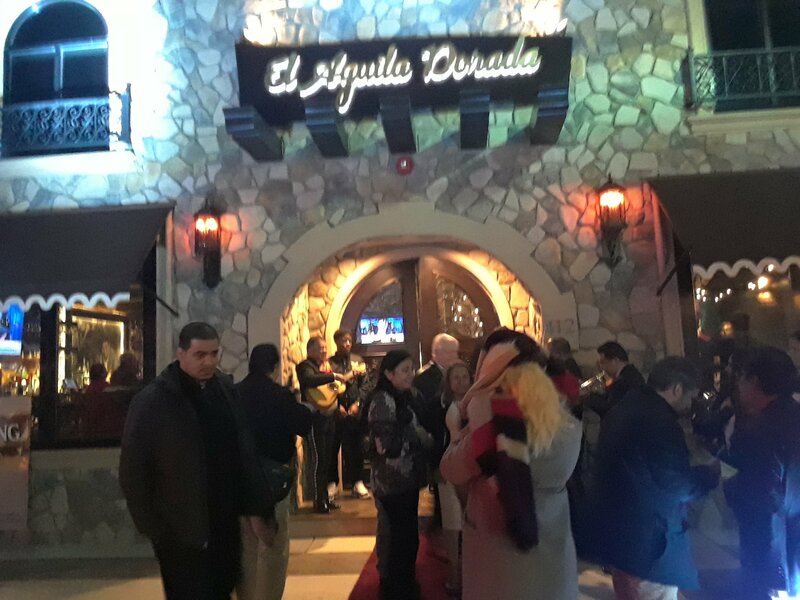 On hand for the ribbon cutting was El Aquila owners Isreal and his wife Irma, their family and friends also attending, Bayonne Mayor Jimmy Davis and Bayonne Council members; Sharon Ashe Nadrowski, Juan Perez, and Gary LaPelusa. 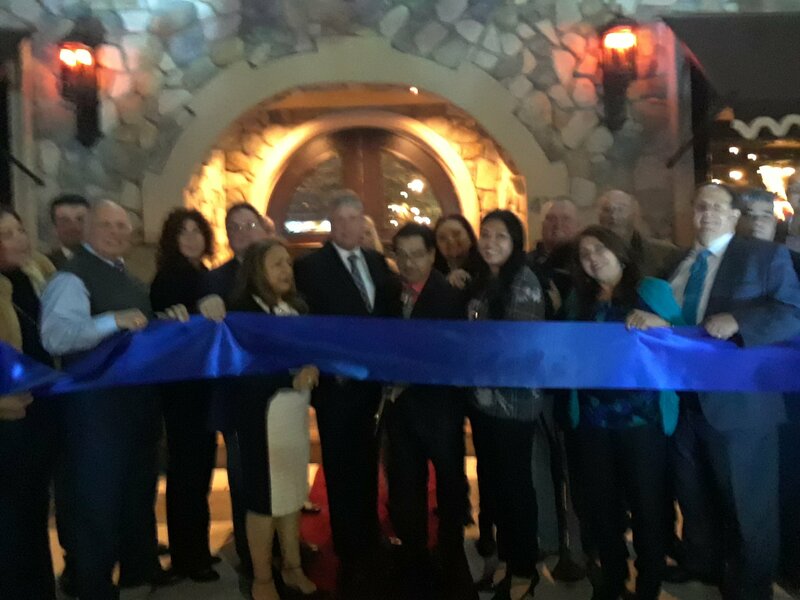 Bayonne Chamber President Tom Coughlin, Annette Rubin and Jack Kennedy. 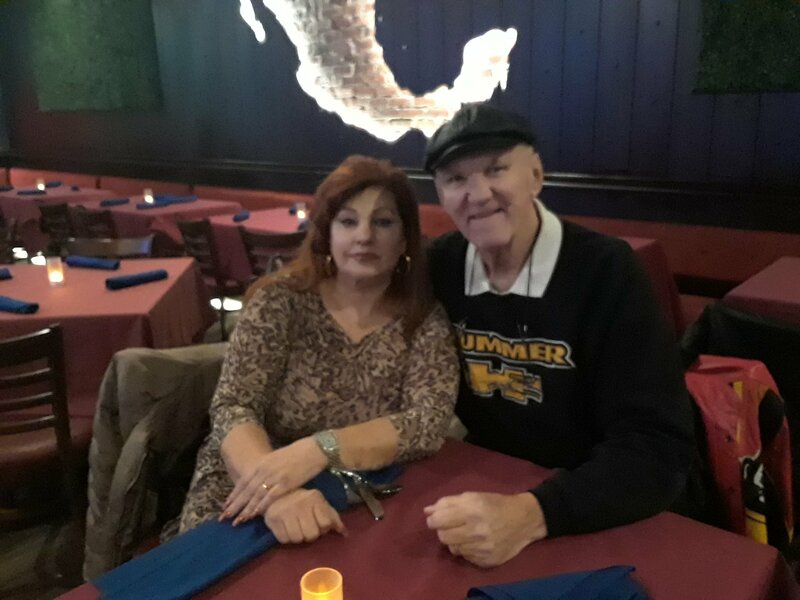 Bayonne boxing legend Chuck Wepner and wife Linda also attended the Grand Opening. 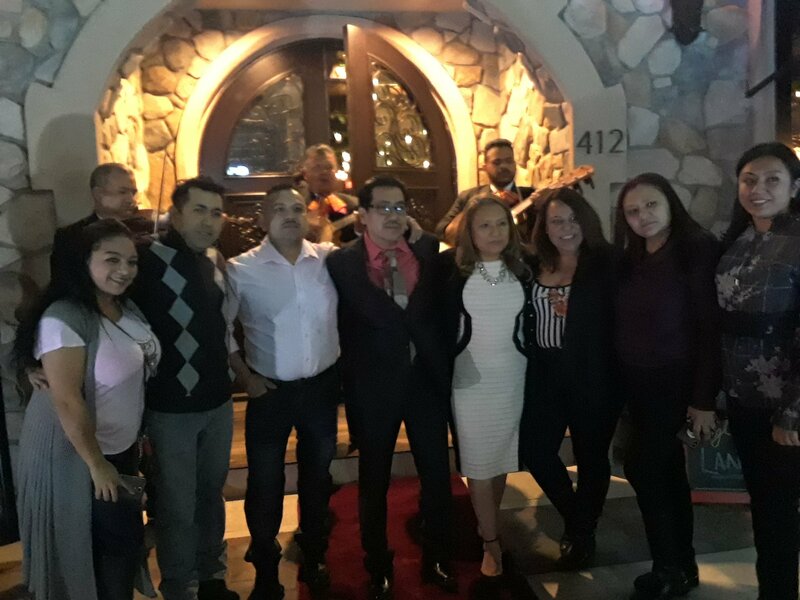 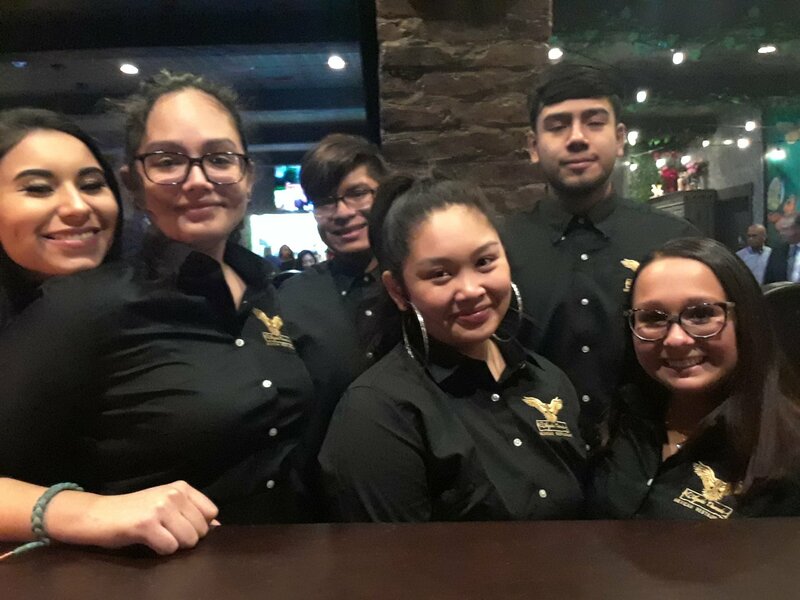 El Aquila Dorada was packed with friends and customers. 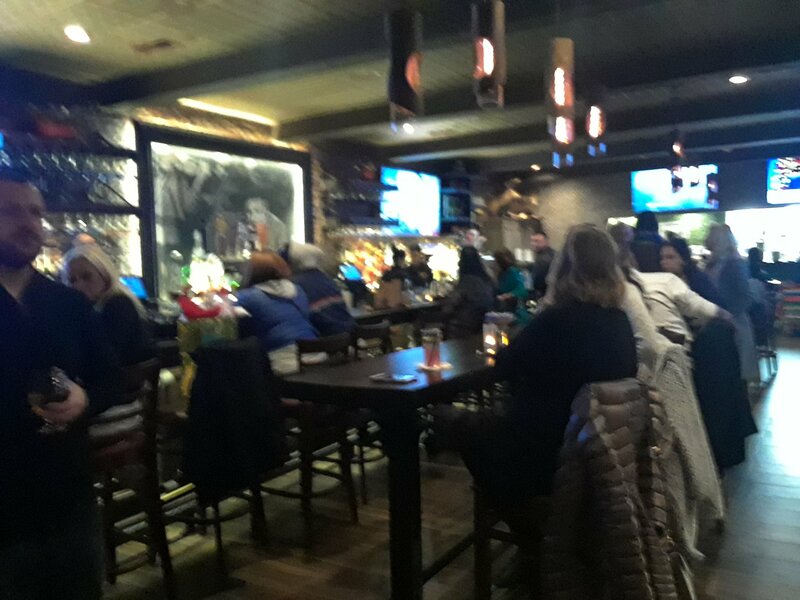 Bayonne Patio Bar and GrillBella Sorellas BayonneButtero's BayonneKP Sarelli's restaurant Bayonnelive music in bayonneMona Lisa restaurant bayonneMusic Broadway Bayonne February 16 2018Shorty's Bar Bayonnethe rock pub bayonneThe Vic Tavern BayonneWho is playing in Bayonne Friday Night? 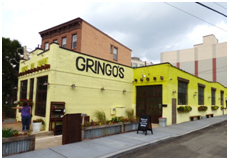 Winter Restaurant Week starts Monday… click on restaurant for their menus, online reservations and details. 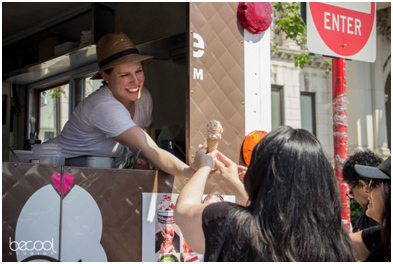 Use #HudsonRW to get your meal paid for from January 22 – February 2, 2018. 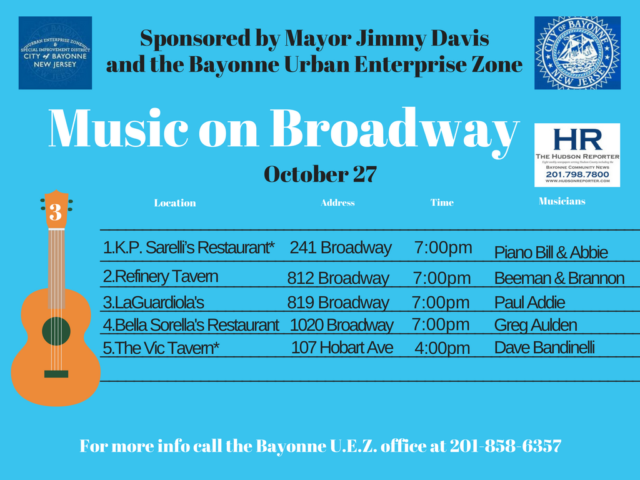 Now in its seventh week Music Broadway Bayonne Oct. 27 2017 sponsored by Bayonne Mayor James Davis and the Bayonne Urban Enterprise Zone brings Music back to Broadway combining excellent venues with exceptional entertainment to make your Friday night out fun and local. 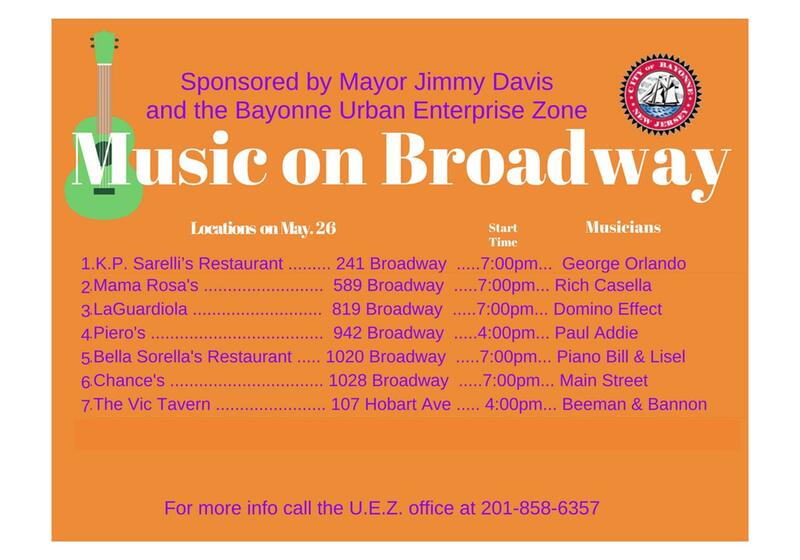 Music Broadway Bayonne Friday, May 26th, 2017 is sponsored by Bayonne Mayor Jimmy Davis and the Bayonne Urban Enterprise Zone a program for the city of Bayonne that is a wonderful way to get out, go for dinner and listen to young talented musicians play while you dine. 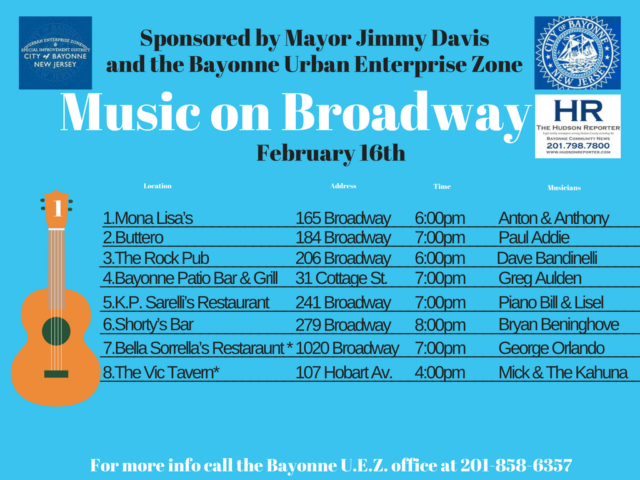 Live Music on Broadway now in its 26th week pairs local musicians with some of Bayonne’s excellent dinner venues. 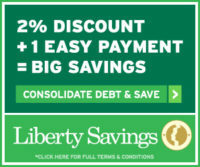 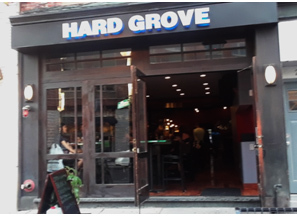 Going out to dine Friday night May 26th ? 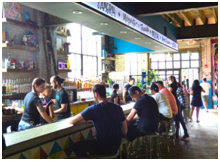 Visit one of these fine establishments and listen to some fantastic music. 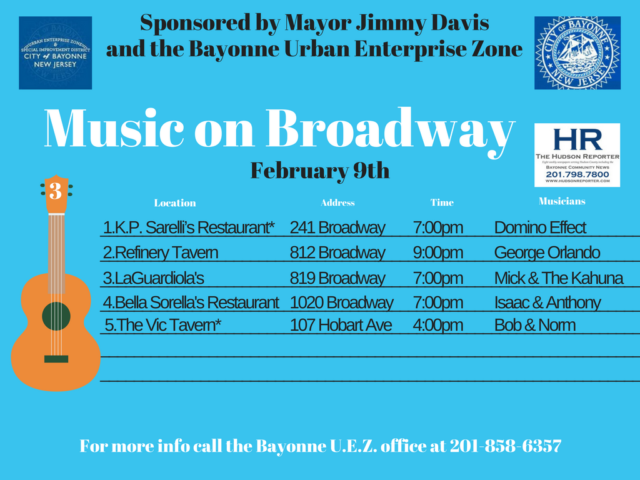 Bella Sorellas BayonneChances Tavern BayonneKP Sarelli's bayonneLa Guardiola bayonnelive music in bayonnemama rosa's bayonnemusic broadway bayonneMusic on Broadway May 26 2017Piero's music bayonneThe Vic BayonneWhere can I hear live music in Hudson County?Who is playing in Bayonne?